Five year old Delilah looks up at the pavilion and asks her mother, "Mom, do those police officers understand why these people are protesting?" "Some of them do and some of them don't," Susan replies. 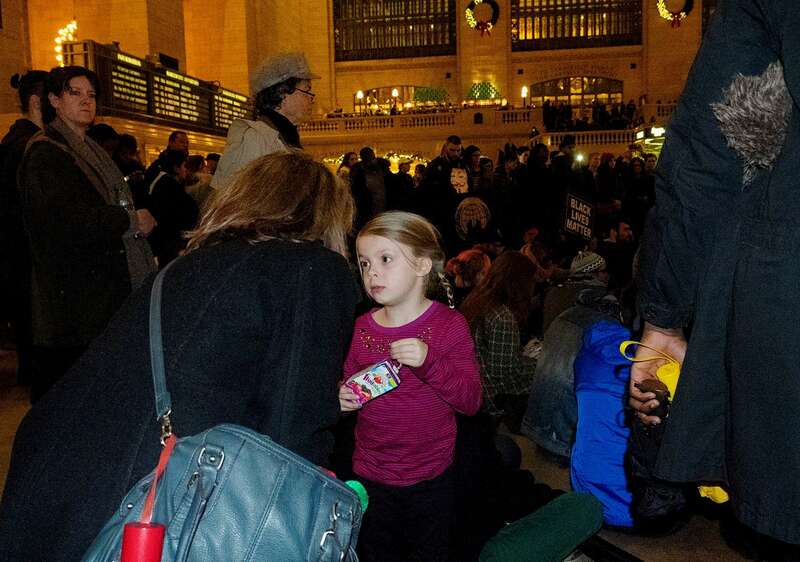 They were both at a "Die-In" staged at Grand Central Station.